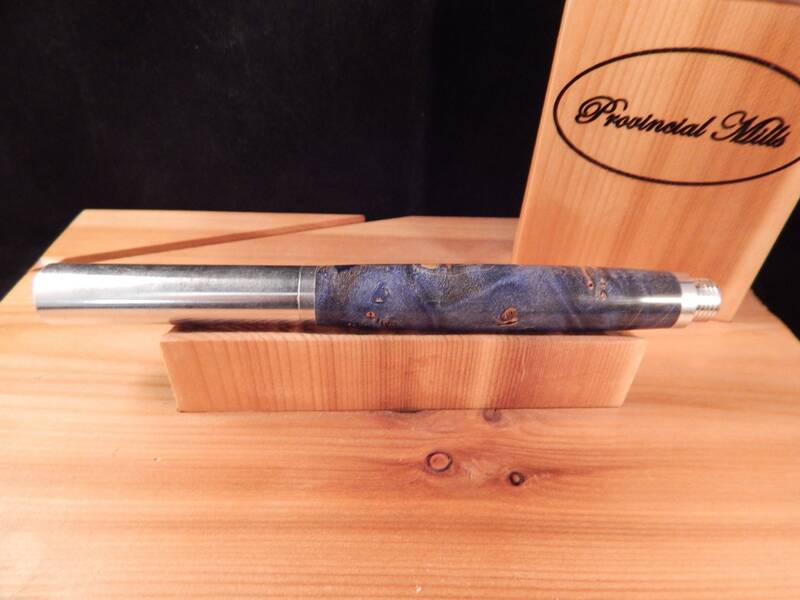 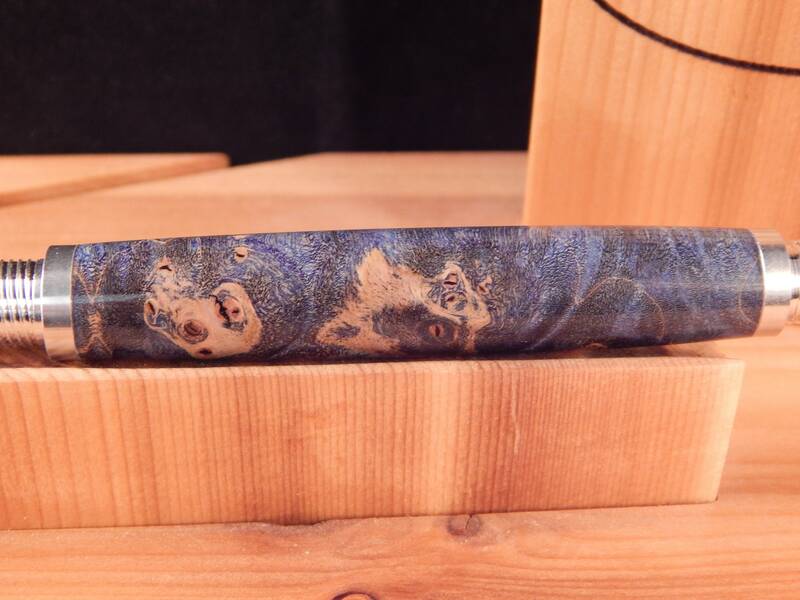 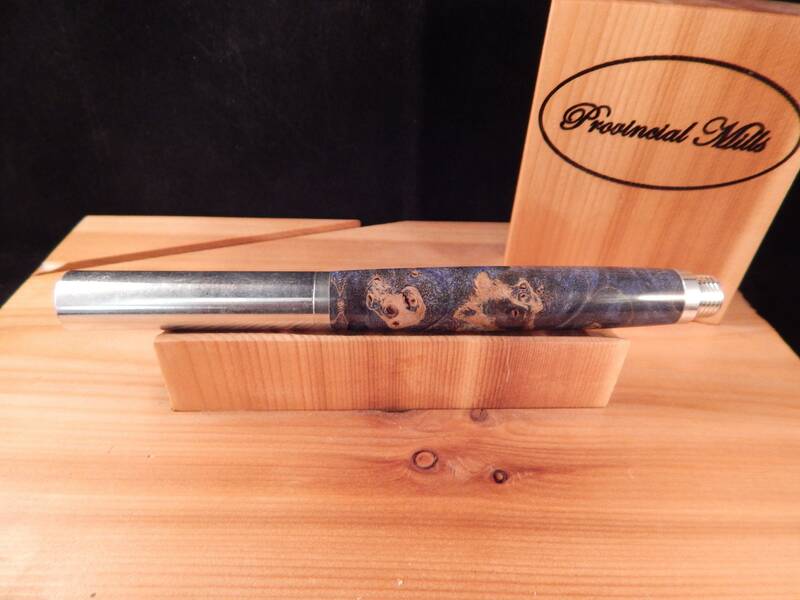 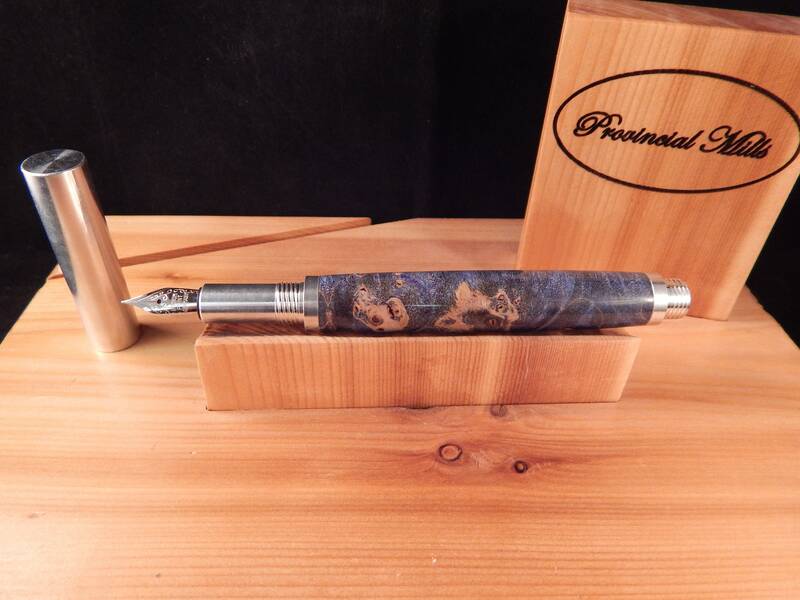 This RAW fountain pen was crafted from maple burl which was dyed blue. 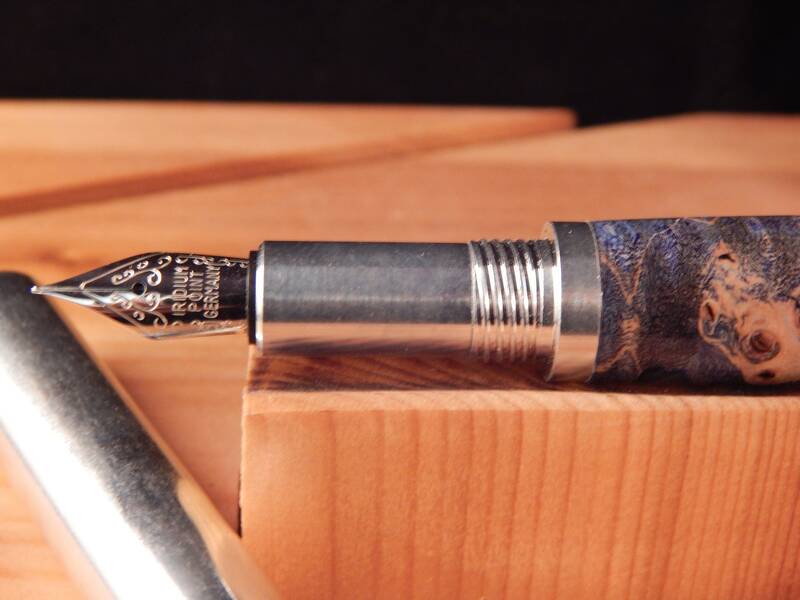 The fittings and cap on the pen were machined from 6061-T6 aluminum. 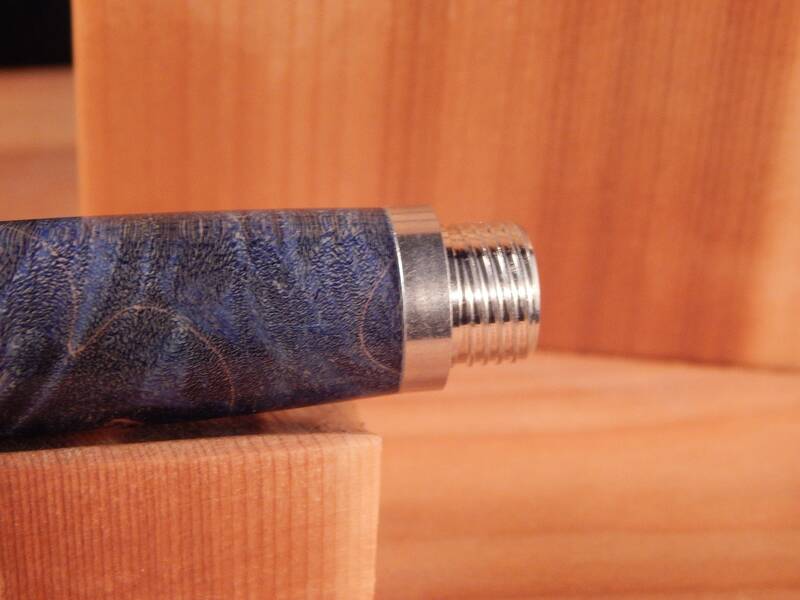 The only piece on the fittings that is not metal is the nib feed and holder. 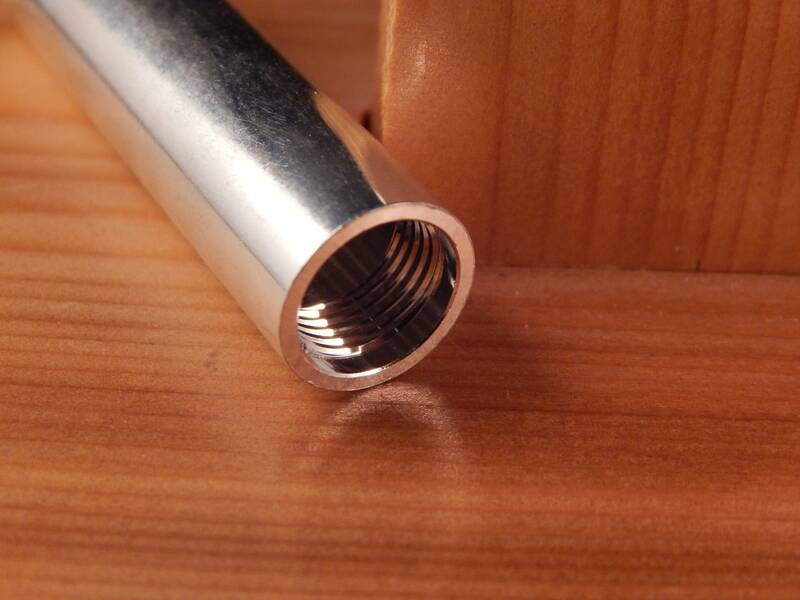 All threads have been machined into the aluminum. 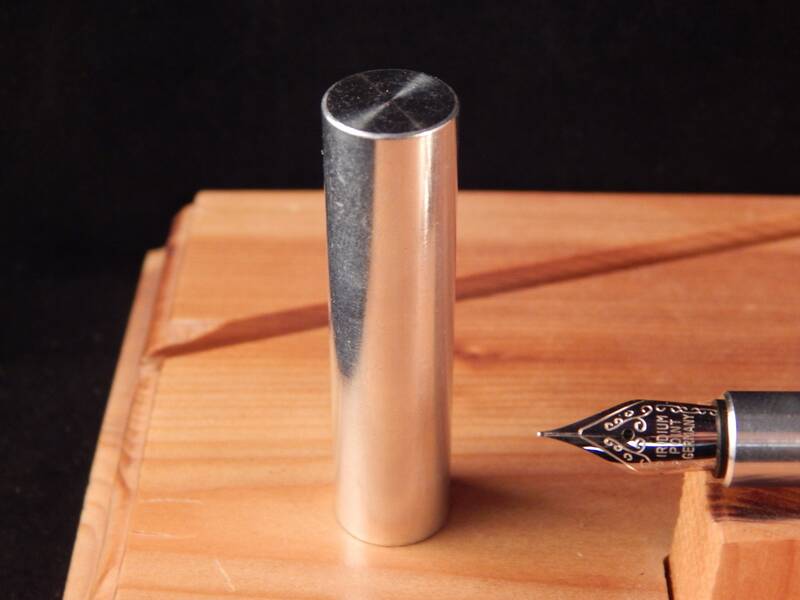 The aluminum is aircraft grade and is known for its strength, toughness and light weight (the fittings and cap only weigh 1.4 oz.). 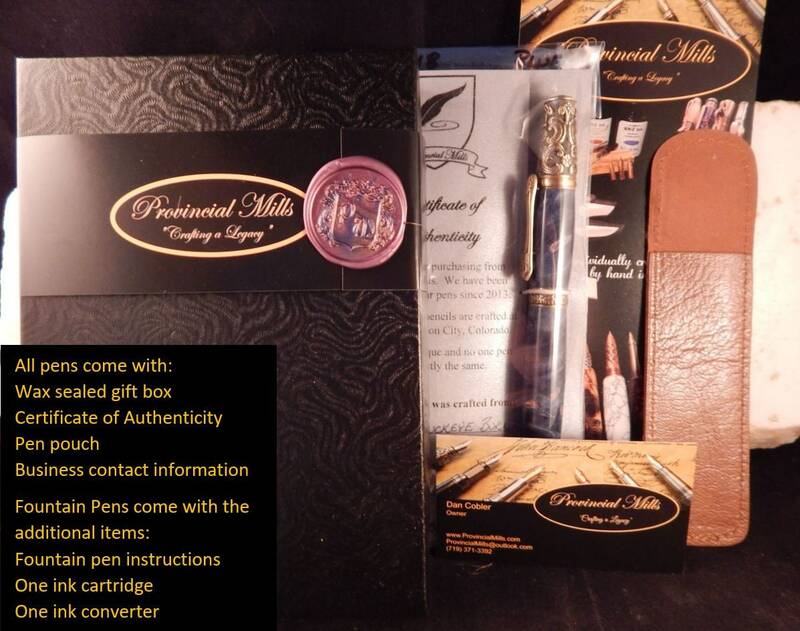 The pen does come with a throw away ink cartridge plus a re-usable ink pump.